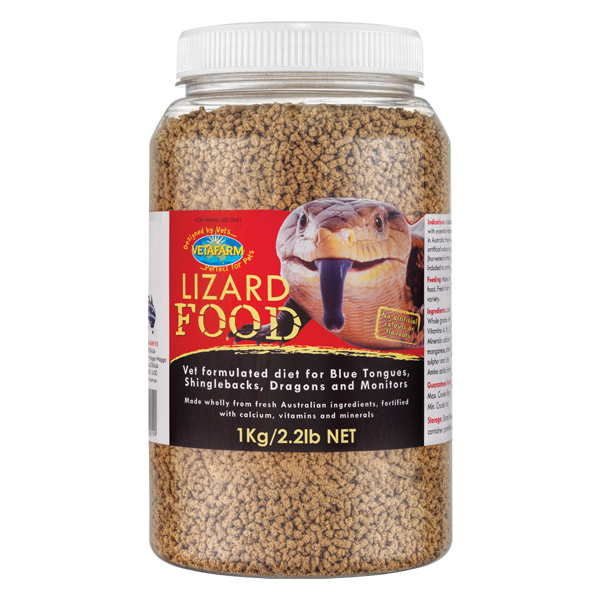 Extrusion cooked pellet diet for lizards. 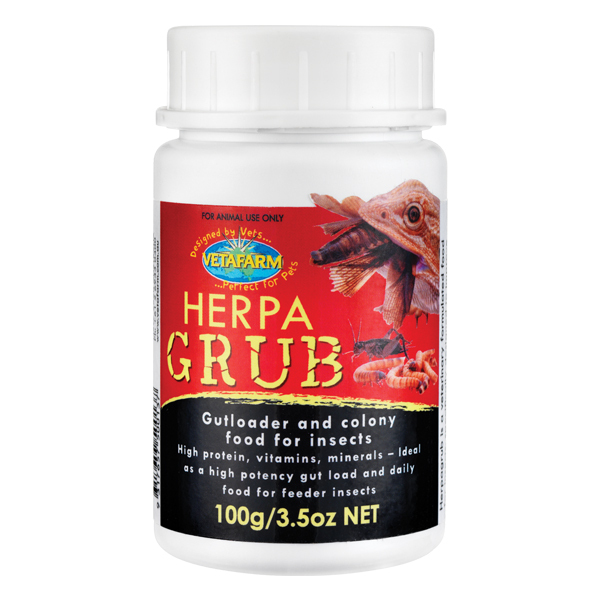 Highly palatable, made with fresh Australian ingredients, contains Mutton bird oil, and has a balanced calcium/phosphorous ratio. Made from natural ingredients, does not contain any artificial colours or flavours. Fortified with essential vitamins and minerals. 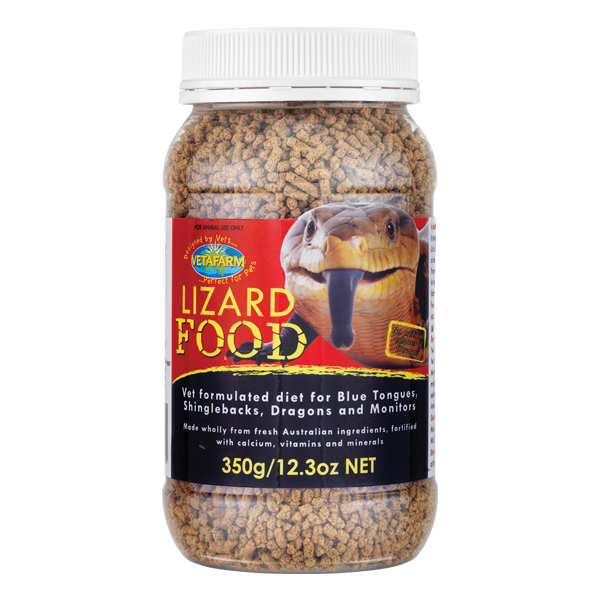 Complete diet for all skinks, including blue tongues, shingle backs and cunninghams. 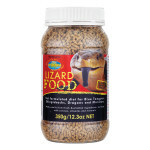 Also suitable for bearded dragons and monitors. Fresh fruit and vegetables can be fed as behavioural enrichment along with the occasional live insect. No other supplementation is required. Make available at all times as the primary source of food. Fresh fruit and vegetables may also be given to add dietary variety. Lamb, fish meal, Tasmanian mutton bird oil, whole grains (wheat and soybean), Vitamins (A, B1, B2, B3, B6, B12, C, D3, E, & K), Minerals (Calcium, cobalt, copper, iodine, iron, magnesium, manganese, phosphorus, potassium, selenium, sodium, sulphur and zinc), Amino acids (lysine and methionine). 2 years from date of manufacture. 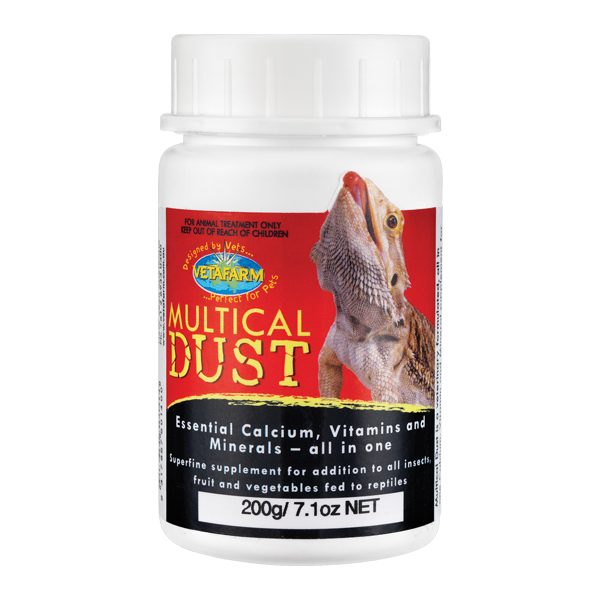 Powdered calcium, vitamin and mineral supplement for addition to food items. 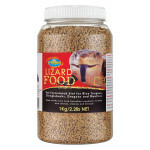 Fortified food source for crickets. 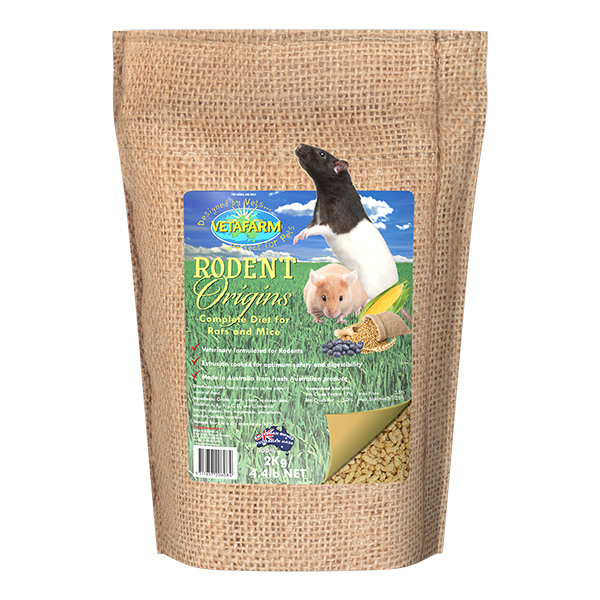 Completely balanced extruded pellet diet designed to meet the particular dietary needs of pet and breeding rats and mice.